There are two foods that if you'd asked me seven-plus years ago I'd passionately rattle off as my top choices to eat: Burgers and ice cream. Back then I was not yet vegan, had just moved to NYC, and finding the best burgers in town—smothered in a variety of cheeses with almost any add-on you can imagine—was a continuous quest. But I've always had a very soft spot for ice cream. With the advent of Brooklyn's new culinary movement in 2009, finding the best of the best from chocolate to pickles, Brooklyn-made in small batches, has never been easier or more delicious. And there is no shortage of local fine ice cream producers and purveyors to choose from—for example, Van Leeuwen. But what's a veeg to do? It's one thing to lovingly craft teeny-tiny batches of ice cream using the finest local dairy ingredients, another to lovingly craft teeny-tiny batches of ice cream using the finest non-dairy ingredients, and yet another to produce artisan non-dairy ice cream that is actually incredibly creamy and flavorful. This is where Steve's comes in. Steve's Ice Cream was founded in 1973, back when there was nothing else like it. 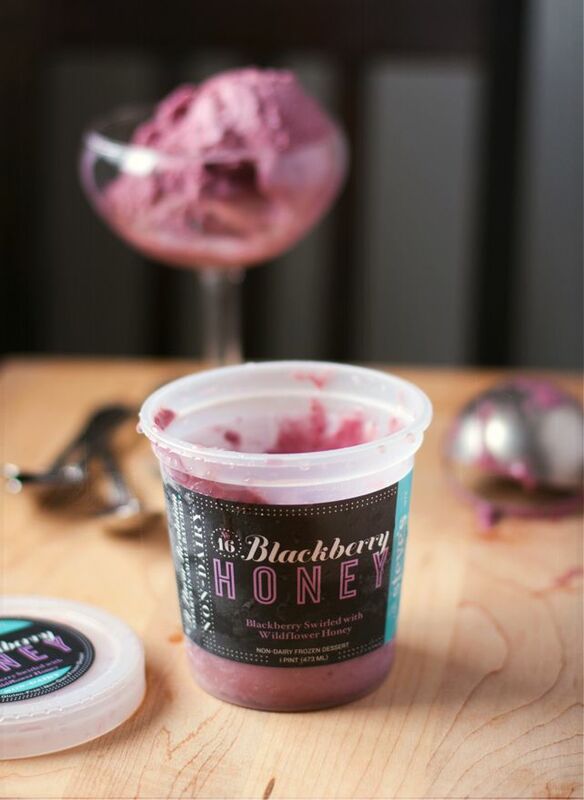 40 years later, the company was revitalized and relocated to Brooklyn, where ice cream is produced "the hard way, in small batches using cool, old-school methods", and ingredients and mix-ins are sourced from other local artisans who are just as passionate about the process. And the best part? Steve's has a wonderful non-dairy line. Steve's Non-Dairy flavors include: Blackberry Honey, Cinnamon Coffee (Vegan, made with cold-brewed Blue Bottle coffee), Dark Chocolate Salty Caramel (Vegan), Mint Cacao Chip (Vegan) Scotch Chocolate (Vegan), and Sugar Cookie Dough (Vegan). I'm particularly in love with the Cinnamon Coffee and Blackberry Honey flavors, and keep them on hand for a once-a-week treat.